IMPORTANT - Restrictions on use THIS SITE IS CLOSED FROM 1ST APRIL to 30th APRIL inclusive. No dogs. Leave no litter. Adhere to the approach details above. If any peregrine in residence on the crags avoid any undue upset by not 'scratching' in this area. An excellent site, the best northerly in the district. The site is large and quite extensive with very large, easy top and bottom landings. 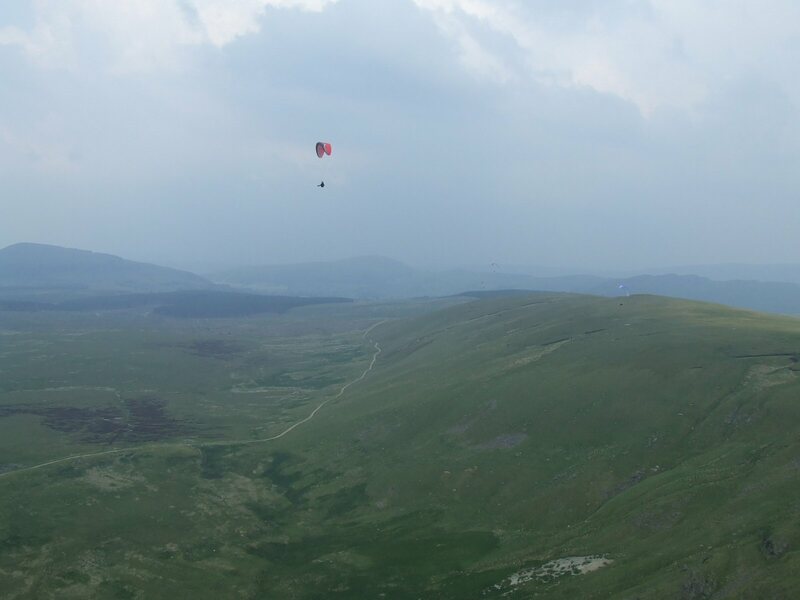 A good thermal site but with rather daunting terrain downwind. 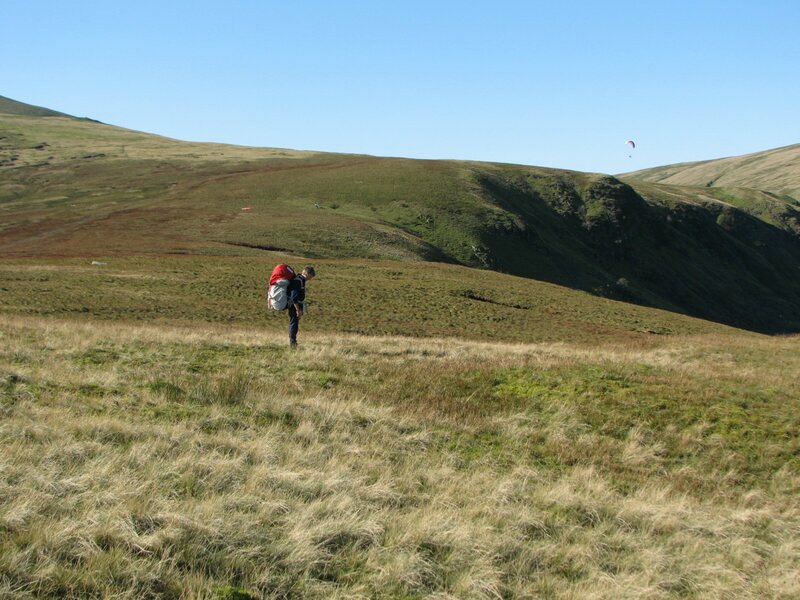 On a half decent day it is common to explore back to Great Dodd and across to Clough Head. The postcode centre is at Crookwath 500m SSE of the eastern parking area. Only use this postcode if you intend to approach from the east. If approaching from either the front or back of the ridge then follow the A5091 until a minor road leads to High Row. The track starts here and there is ample parking just outside the gate. Care if scratching the crags. If the wind goes west of north the site produces poor lift and can become increasingly turbulent. Excellent potential but with difficult terrain (and a possible lake crossing) downwind. Looking east from the western take off plateau. A rather hazy view of the Wolf Crags area looking east. A thunderstorm broke 40 mins after. 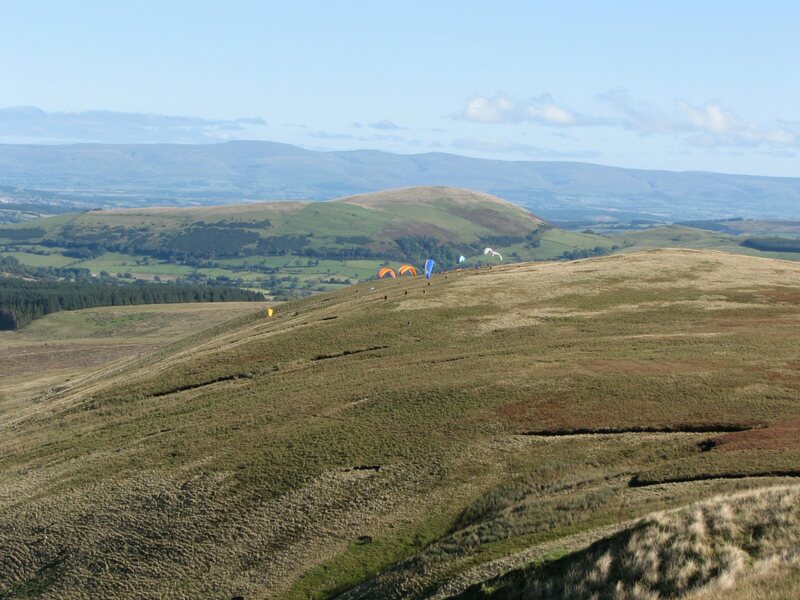 The launch area is along the ridge to the right and you can land along the coach road. Flying back to the car park is the easiest route! Photo by Dave Horne. Notes : Country Hotel offering a bar, restaurant and accommodation. 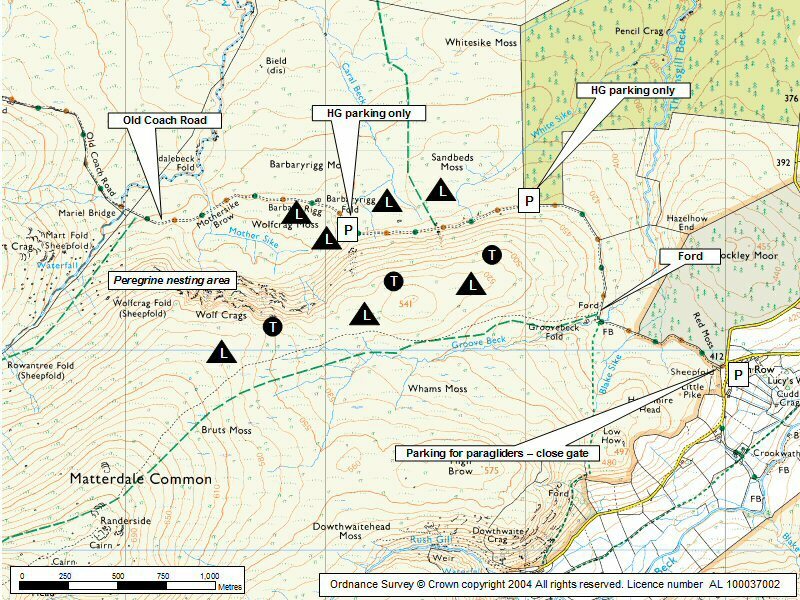 Notes : This is a very interesting flight using the space upwind as far as Cawthwaite as well as down the thirlmere valley. Google Street View - Parking The parking area for Wolf Crags. The track goes through the gate.